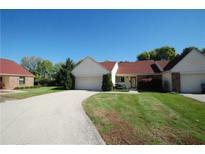 Below you can view all the condos for sale in the Robin Run Village subdivision located in Indianapolis Indiana. 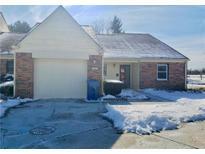 Listings in Robin Run Village are updated daily from data we receive from the Indianapolis multiple listing service. To learn more about any of these condos or to receive custom notifications when a new property is listed for sale in Robin Run Village, give us a call at 317-434-3887. There are several options available regarding the level of care the new homeowner may require including: independent living, assisted living, Alzheimer's and Dementia care, and skilled nursing and rehabilitation. Welcome Home! MLS#21631735. Highgarden Real Estate. 24 hr security, shuttle service, tennis, pool, lovely walking trails & more! MLS#21614729. 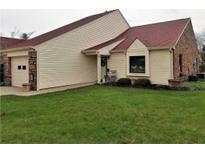 Keller Williams Indpls Metro N.
This is Indiana's version of the Villages at a fraction of the cost! ! MLS#21603430. F.C. Tucker Company. These statistics are updated daily from the Metropolitan Indianapolis Board of REALTORS® Multiple Listing Service. For further analysis or to obtain statistics not shown below please call Highgarden Real Estate at 317-434-3887 and speak with one of our real estate consultants.